Document Notes: This report seems significant on two counts. Within the Tile Box is a listing of various organizations. One name is translated to "Association of Japanese in America obligated to Military Duty." That raised a red flag at the time. 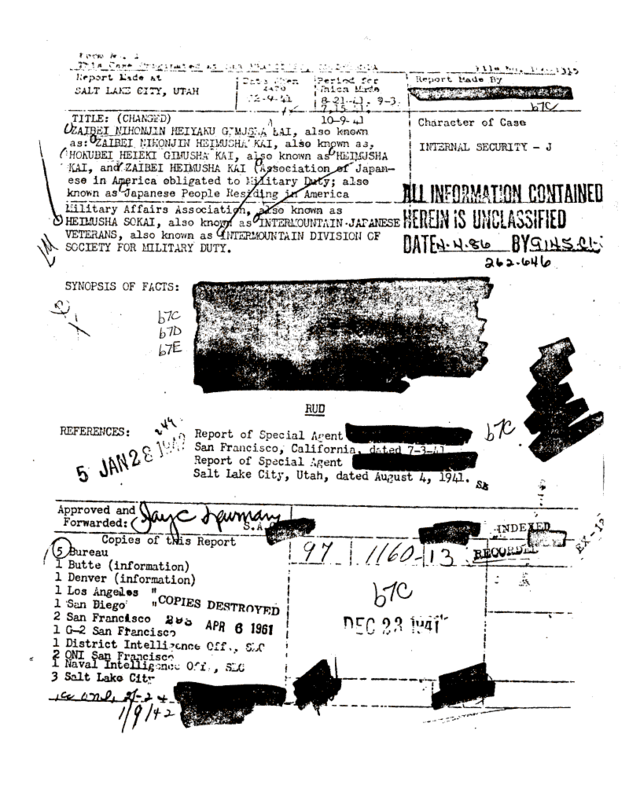 The other is the extent of redacting done by the FBI.